Wildfires are terrifying for very obvious reasons — the life and death factor — but there is also the possibility of losing the ability to communicate. Not so for COMSAT, the U.S.-based satellite connectivity provider, as the company demonstrated their power of preparedness in reaction to the recent wildfires in California. The Thomas Fire, reported to be the largest in California state history, presented a very real threat to the day-to-day operations of the Santa Paula multi-purpose teleport facility. Because of the preparedness of COMSAT and its local team, an efficient, well-planned contingency strategy ensured that the teleport continued serving its global network without interruption, despite the proximity of the intense flames. As the fire reached teleport facility boundaries, the COMSAT team implemented a practiced crisis response to mitigate the imminent risks. Working closely with the Ventura County Fire and Rescue services, who had already provided emergency training to all COMSAT team members, the fire was held at bay. Teleport emergency generators provided essential power to the facility for more than a week while regional energy services were restored. Staff members, who worked with a local command center to secure continued access to the facility, followed pre-defined emergency plans and protocols. The collaborative approach working with the firefighters, and local emergency services, supported the safeguarding of the teleport grounds. The COMSAT Earth station serves hundreds of thousands of people worldwide including governments, military forces, emergency services, international corporations and members of the public. COMSAT president David Greenhill recalls that major network operation centers around the world rely on the teleport connectivity, and he is extremely proud of Guy White, the director of teleport operations, and his team. Without their professional approach, adherence to the plan, and excellent relations with the local responders, the situation could have been very different. The crisis management plan, devised in response to the 'what-if' scenarios, demonstrated how resilient the teleport and its team are. It just goes to show that being prepared for such an event is essential. Located 70 miles northwest of Los Angeles the teleport began operating in 1975 in support of the MARISAT global satellite fleet and ground systems, and the COMSTAR satellite fleet serving the continental USA, Alaska and Hawaii. Today the teleport provides mobile and fixed satellite communications coverage for the entire Pacific Ocean Region (POR) as well as operating services in and out of the continental USA, Canada, the Gulf of Mexico, and throughout the Caribbean. 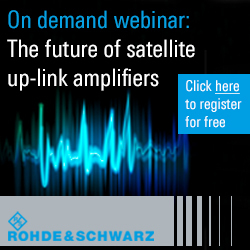 It is an international gateway for the Inmarsat satellite network, and has been since its inception. 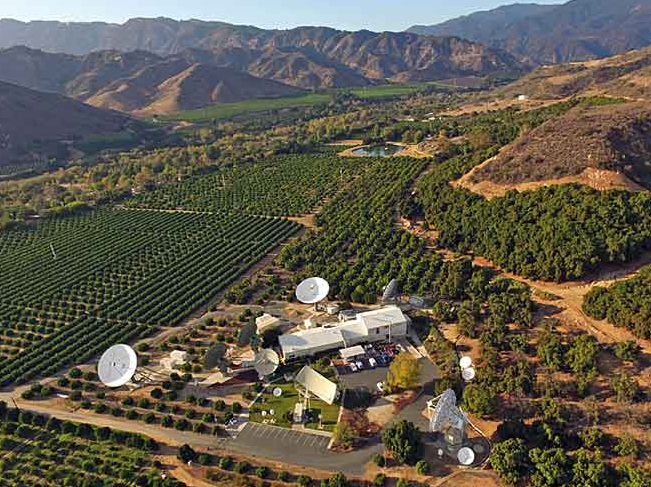 The Santa Paula Teleport is instrumental in providing fixed and mobile communications services for Inmarsat, the Federal Aviation Administration (FAA), the Federal Emergency Management Agency (FEMA), the Veterans Administration and other key government agencies and commercial customers. The teleport also serves as a data center, connecting cyber secured networks for its parent company, Satcom Direct. Its primary charter has been to operate “life and safety” services and provides five nines (99.999 percent) service availability, a target it has continually exceeded.